My card this week is inspired by a fox I’ve been seeing in some woods by my house and by Hand Stamped Sentiments sketch challenge. I finally played with the Foxy Friends stamp set and coordinating Fox Builder punch. The background I embossed with the Woodland Textured Impressions Embossing Folder then colored the embossed trees with clear Wink of Stella Glitter Brush. The wood layer strip is from the Wood Textures DSP paper stack then layered with 1/4″ Copper Trim ribbon. The cute fox I stamped in Cajun Craze and used the Fox Builder punch to die cut the head, body and tail. The stump and outline banner was stamped in Early Espresso. The ‘hello’ greeting is from the Eastern Beauty set and stamped in Old Olive and die cut with the Duet Banner punch. Join Hand Stamped Sentiments and see more inspiration from their design team. I created this graduation card with the Bold Butterfly Framelits and Butterflies Thinlits. I first created the watercolor background on watercolor paper with Flirty Flamingo, Melon Mambo and Pink Pirouette. I first wet watercolor paper and used a brush to add spots of the different colors then kept spritzing with water to run the colors. After drying with the heat tool i die cut the butterflies using the Bold Butterfly Framelits and Butterflies Thinlits dies. The Whisper White card stock was embossed with the Softly Falling textured embossing folder. I used a small brush to splatter Melon Mambo and Pink Pirouette to the background. The sentiment was stamped using the Thoughtful Banners and the Duet Banner punch. I added sparkle to the card with Basic Rhinestones. Be inspired by the sketch challenge at Hand Stamped Sentiments and upload your project. Hey Chick! I love this stamp set! My card is inspired from the Hand Stamped Sentiments Sketch Challenge and CASED from a card in the Sale-a-bration catalog. You can earn this stamp set with a $50 purchase. There are so many great items you can earn for FREE with every $50 purchase. Click here to see them. This stamp set is perfect for coloring with Stampin’ Up’s watercolor pencils. I used a blender pen to blend the watercoloring. It was so much fun to create this card! 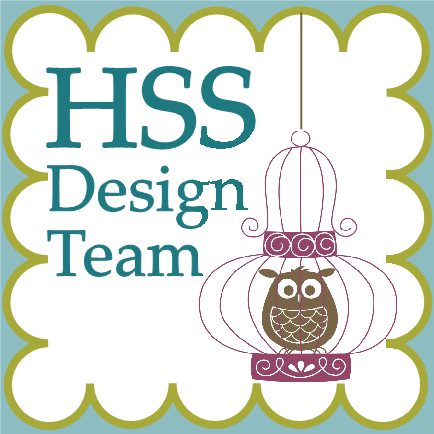 Join Hand Stamped Sentiments and be inspired by the sketch challenge and design team. The thank you card I created is based on Hand Stamped Sentiments sketch challenge. I used the colors of Melon Mambo, Basic Black and Emerald Envy. I created the flower using the new Bunch of Blossoms Bundle. The petals and leaves were created with 3 step stamping to create shading and depth then die cut with the Blossom Builder Punch. The sentiment was created with the Thoughtful Banners Bundle. This bundle comes with a great stamp set with many sentiments and banner images and the Duet Banner punch. Together you can create banners with many sentiments. I used Pop of Pink Washi tape to embellish the bottom of the card. This card came together quickly. I hope you’re inspired by the sketch challenge and share your project on join Hand Stamped Sentiments. This week’s Hand Stamped Sentiments sketch challenge inspired my Christmas poinsettia card this week. My card base is Whisper White. The diagonal stripe DSP is from the Candy Cane Lane paper assortment. Love this paper! The Garden Green layer was embossed with the Softly Falling embossing folder. I used a strip of Gold Satin ribbon. After stamping the leaves and the petals of the poinsettia I traced the veins with clear Wink of Stella glitter pen. After assembling the flower I put a gold doily behind it and used dimensionals to adhere to the Garden Green layer. I embellished the Gold Satin Ribbon with small pearls. I also used gold sequins and pearls to embellish the card. I gold embossed the sentiment from the Christmas Pines stamp set on the Whisper White banner. Join Hand Stamped Sentiments and post your project based on this sketch. My card this week is inspired by the sketch over at Hand Stamped Sentiments. I used the sketch portrait style instead of landscape to create my card. I’m looking forward to fall and the beautiful colors of the leaves so I used the Vintage leaves stamp set and framelits. I made the leaves using Christi Becks video for how to color the leaves and the Acorn Builder Punch for the acorn. I embossed a Very Vanilla layer with the Woodland Textured Embossing folder for a background for the leaves. I love how my card turned out. 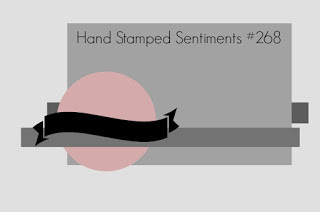 Join us at Hand Stamped Sentiments and show us your take on this sketch.